Tom Clements is the senior student and instructor in the dōjō. 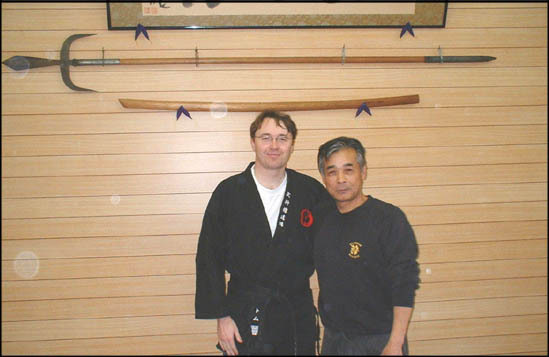 He is a registered instructor with the Japanese Instructors Association (Bujinkan Shidoshi Kai) . 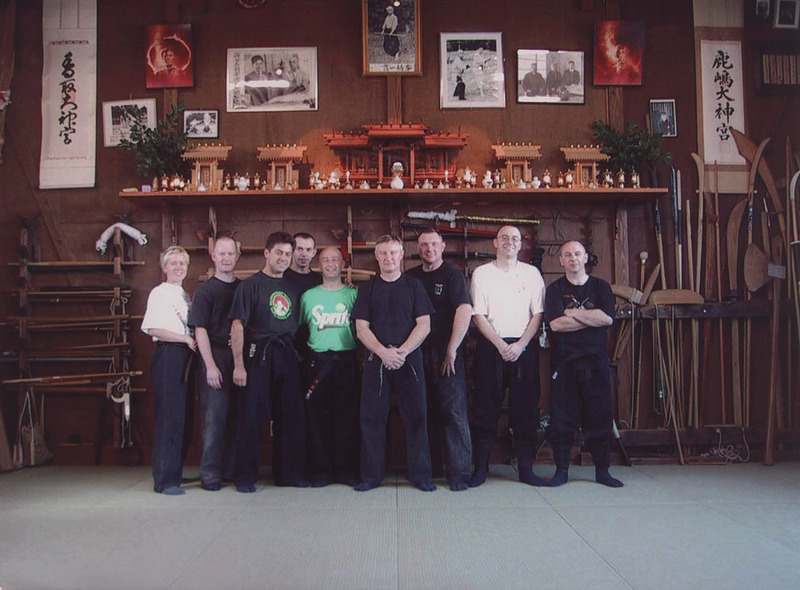 Tom has been training in the Bujinkan for nearly twenty years. He regularly trains with senior Irish and visiting instructors and also travels to Japan to train. Although instruction is given in reihō (correct etiquette), training is conducted in a reasonably relaxed and informal manner. The emphasis is on learning the basics correctly and internalising them until they can be used efficiently in any given situation. Classes start by looking at fundamental elements of the Bujinkan (Kihon Happo, ukemi, San Shin) and then looking at weapons or at techniques specific to the particular theme of the year. As students progress the pace and intensity with which they train will normally increase but accuracy and correct movement should never be sacrificed for speed and power. We train every Monday night from 19.00, training lasts approximately 2 hours. We also train in Harold’s Cross on a Saturday at 11.00. Please note that while drop-in students are most welcome on Monday nights Saturday training is only available for regular students. New students are always welcome but please get in touch beforehand; you can either phone (0872492951) or email jishindojo@gmail.com. Graded students from other clubs are most welcome at any time. If you’d like to learn more you can sign up for a free trial class here or book a place on our next beginners’ course here.